Congratulations to Colleen and Judi L., the winners of Marliss's giveaway. Thank you to all who participated! If you’ve never read any of my books, you are in for a treat! If you like Navy SEALs and realistic romantic suspense, then you’ve got to read my 7-book Navy SEALs series, starting with FORGET ME NOT. Currently, however, I am writing a Counterterrorist Taskforce Series, which started with THE PROTECTOR (July, 2011). I describe that book as a cross between the movie Shooter (with Mark Wahlberg) and the movie Taken (with Liam Neesen). Book #2 in this series, THE GUARDIAN, comes out (electronically and hard copy) this summer. In fact, I’m giving away two electronic copies of THE GUARDIAN to two lucky readers! People always ask me where my ideas come from. In the case of THE GUARDIAN, I was skimming through my local newspaper, when an article caught my eye: UNIDENTIFIED MAN BURNED ALIVE. That sounded interesting, so I read on. The body had been found on the side of the road, not far from where I lived. The victim was quite dead by the time rescue workers put out the fire burning him. Unable to identify the victim, the police described him as an African American male with a tattoo on his arm of a crescent moon, a star, and the number seven, all circumscribed by a sun. The tattoo suggested ties to a gang called the Five Percent Nation. Many Five Percenters converted to Islam in jail. The police believed this man had tried to leave the gang. For that, he was beaten, drugged, dumped on the side of the road, and set on fire. His fate prompted this idea for my book, an idea that is a real concern to peacekeepers in America. In the past decade, there has been a sharp increase prison conversions, and while I am all about prisoners finding God in jail, this isn’t “good” conversion. Converts are taught rigid and racist philosophies that actually violate the tenants of true Islam. Their fanatical outlook resembles those of terrorists abroad. Indeed, there are often affiliations between terrorists in the Middle East and radical Islamic converts . My hero is FBI Special Agent Jackson Maddox. I’ve had Hispanic and Italian heroes before, but Jackson is my first “mix-raced” hero. Because of his dusky skin color, he’s the ideal Taskforce agent to go undercover as a parolee in a well-respected reintegration program. This particular reintegration program is only for converts to Islam, and despite its success rate, the Taskforce has reason to believe it is a breeding-ground for terrorism. No one in the program can know that Jackson is really an FBI agent. Thus, when he catches sight of a woman secretly photographing him, he fears his cover is in jeopardy, especially when the woman turns out to be a journalist. I have to tell you, there are elements in THE GUARDIAN that I was uncomfortable writing. Not only is the issue of race prominent, so is the issue of religion. If I weren’t Indie-publishing this series, I would be hard-pressed to get a publisher to release it. Don’t get me wrong. The story is gripping and realistic, and anyone who knows me can tell you there isn’t a prejudicial bone in my body. I grew up in countries all over the world. I believe that everyone, regardless of race or religion, is my brother or sister. So, I hope I don’t get accused of racial profiling, and I really hope I don’t get targeted by angry gang members! THE GUARDIAN is about extremism and fanaticism, both of which are dangerous regardless of how they are manifested. There are some who say—and in some cases with good reason—that the government is overly suspicious of certain sectors of the American population. When it comes to keeping Americans safe, I tend to believe we should err on the side of caution. After all the research I have done, I believe local threats really do exist. And I am grateful to the guardians among us who are aware of the dangers and are willing to combat them to keep the rest of us safe. All race, religion, and politics aside, THE GUARDIAN is a fast-paced and riveting story that crackles with sexual tension. When Jackson learns that my heroine’s little sister was murdered by one of the parolees in the program, he’s torn between getting rid of her and helping her get the murderer convicted. Whirling at the door, Lena thrust it open as she tipped the liquid she craved to her lips. The last thing she expected was to collide with an unyielding, sun-warmed body. Gatorade showered her blouse. “Hey!” she cried, her protest trailing off with a gasp as she found herself face-to-face with the subject of her voyeuristic impulse. He was even more striking up-close. One glance into his gray-green gaze and she couldn’t breathe. “Sorry,” she muttered, trying to squeeze past him. But he stepped into her path again, and her wet bosom bounced against his rock-hard chest. A whiff of sweat, soap, and man made her head spin. “Excuse me!” She managed to sound indignant when, in fact, she was hoping the sidewalk would just swallow her. “Personal or public?” he inquired, coiling a large, surprisingly gentle hand around her elbow and drawing her outside. The door bumped shut behind them. “I’m sorry?” She could hardly hear him for the blood rushing past her eardrums. “Your reason for taking pictures.” His deep voice held a cadence that brought to mind steel drums and fruity rum beverage, suggesting some Caribbean heritage. “I don’t know what you’re talking about.” She tried diving past him a third time, but his grip, however gentle, was unbreakable. “You don’t have my consent to publish those photos,” he stated. Both his warning and his educated-sounding speech astonished her. As Lena gaped at him, his gaze dipped unapologetically toward her sweat-and Gatorade-soaked blouse. Her words wrested his fascinated gaze upward, his pupils narrowed with an all-too-knowing look that detected truth in an unnerving way. She doubted anyone could get away with lying to him. He stepped closer, enfolding her in his cool shadow, surrounding her in his scent. “I know what I saw,” he insisted, his breath warm across her cheek. “Come. We’re going to go delete them.” His grip on her elbow tightened as drew her in the direction of her vehicle. Lena resisted, digging her heels into the sidewalk. The realization that he could easily overpower her both frightened and enthralled her. Suddenly, the door behind her opened. Mocha Man glanced over her shoulder and reluctantly released her. “Everything okay here?” Bill called, dividing an anxious look between them. “Fine,” Lena assured him. She took advantage of the ex-con’s slackened grip to wrest free. Without a backward glance, she fled for her Jeep, slamming the door shut and locking it. Giveaway ends 10pm EST May 22nd. Please supply your email in the post. You may use spaces or full text for security. (ex. jsmith at gmail dot com) If you do not wish to supply your email, or have trouble posting, please email maureen @ justromanticsuspense.com with a subject title of JRS GIVEAWAY to be entered in the current giveaway. Please note that this prize is for a future release and will not be available immediately. Oooooh, this sounds so good! Gotta get caught up on THE PROTECTOR before June/July! I'm glad indie publishing is providing a way to include issues that would otherwise never make it into a traditionally-published book. Congrats on the (almost) new release! Congrats on your new book Marliss. I have Forget Me Not on my TBR list (soon to be currently reading). I love read about military and FBI. Looking forward to read this one. I have read and Loved everyone of your books since I found your first book in paperback about 4-5 years ago. Your series are always so relevant. Have read The Protector and waiting for The Guardian. Your books are KEEPERS! Sounds like a great read! I have The Protector waiting for me on my Kindle to read. Eagerly awaiting the release. As soon as it's out, I'll likely drop whatever I'm reading so I can jump right into The Guardian. Ooh, definitely looking forward to The Guardian! Thanks for the heads up! I highly recommend Ms. Melton's 7 book SEALs series, awesome! I cannot wait to read her new one, sounds just as awesome! Love Marliss's book can't ask for a better read. Definitely recomment anything she writes. 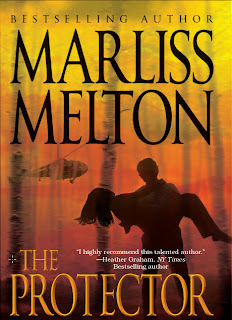 I just bought the Protector last week and LOVED it!!! I can't wait for The Guardian!!! Hey Marliss, cannot wait for The Guardian to come out and wow Jackson is hot :). 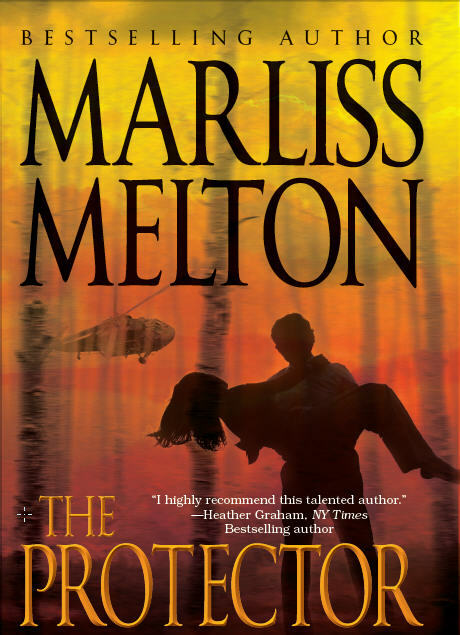 Loved the Protector - had been looking forward to your next release after the Navy SEAL books. This new series is just as excellent. Love ALL your book. Am so glad to have you back!! Especially love it that your books are about our heros. Can't wait for it to come out! :) love the SEAL books! Ooh! I'm looking forward to The Guardian's release! I have loved everyone of your books I've read!! My e-mial is: Kellijo23 @ gmail.com. Thanks for the chance to win!! I enjoyed the post and excerpt. The book sounds good. I've been a big fan of all your books and look forward to your latest. Sounds SO good. I love the Shooter and Taken. They are both great movies. If your series are as action-packed with intrigue and suspense as these two movies, I can hardly wait for your books. Sound like this book has some darker aspects. Good by me, I like dark. But how do you find average romance readers reactions to darker stories? How do you market this kind of book to right kind of reader? Thanks for a great post, excerpt and giveaway! This is the first I've come across your books and I'm definitely going to go check them out! I'm very intrigued by the premise! Congrats on the newest release! I am interested in reading your book. Please enter me in your draw. sounds like a great read thank you.